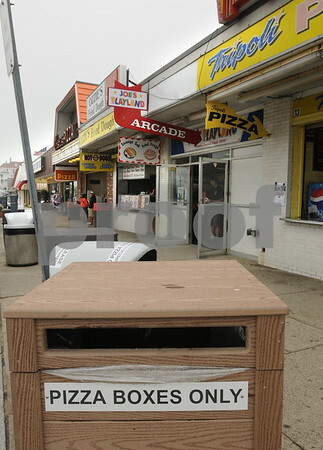 Salisbury: New trash cans solely for pizza boxes have been placed around the center at Salisbury Beach. The usual bins tend get get full fast with the bulking boxes. Bryan Eaton/Staff Photo Newburyport News Tuesday June 30, 2009.